I specialize in helping anxious and depressed adults get better at coping so they can thrive and be well. My role as a therapist is to help clients explore options, challenge ineffective thought and behavior patterns, and create healthy steps to bring you to your best self. I believe that change is powerful and can happen, despite difficult life events. I help people by recognizing their strengths from past experiences and how they can apply those to their current situation. I use Cognitive Behavior Therapy and Solution Focused Therapy to help you get real results towards feeling better. I hope people recognize that mental health is very important. When you have a toothache, you go to the dentist. Mental health should be the same way. There’s an old Irish saying that says, “no great pain goes unnoticed,” and this is true of mental health. The emotional suffering of depression or anxiety is intense but through counseling, I believe you can feel better. Counseling allows you to develop skills in a safe environment and then try those skills out in the real world after you have practiced during sessions. Simon Sinek is a great influence on my leadership style. Jeff Simms is located at our Great Lakes Psychology Group – Grand Blanc office. 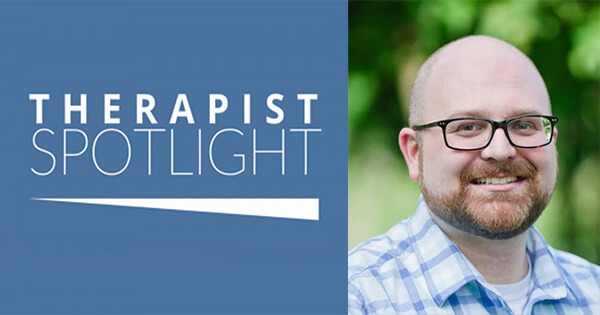 To learn more about Jeff, please visit him therapist profile below.